Some front yards just lend themselves to being much more than a path from the driveway to the front door. This east facing front yard is designed to its whole potential as an outdoor living space. 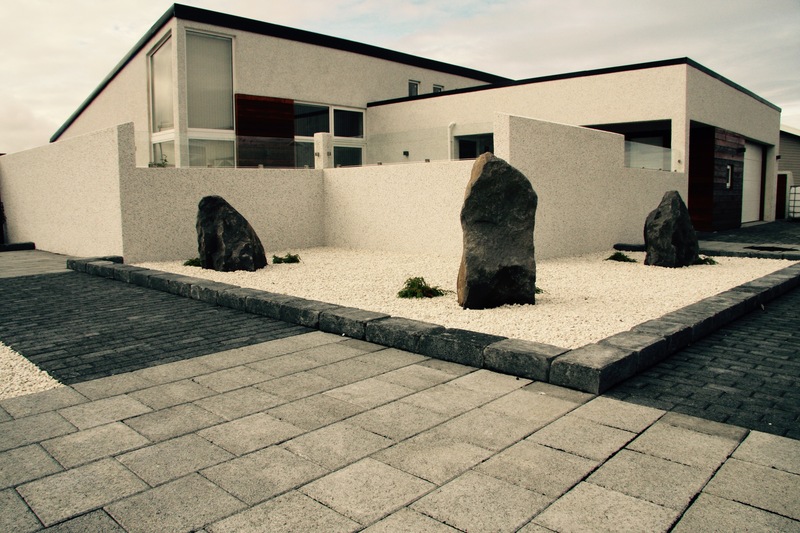 In a little town on the Reykjanes peninsula, when winds can blow from all directions, the yard had to be totally enclosed. The thick garden walls are constructed in the same style as the house with a fine gravel, light tone finish. To break up the sameness the walls are partially topped with glass. The contrast of the light paviours and the dark steps bring out a modern style squareness. Although their main function is to connect the lower area to the higher one the steps also double as an informal seat. Around the corner there is a small hot tub for those preferring to take their baths out in the open. The tub is partially hidden from the path to the front entrance but has a connection with the main paced area. 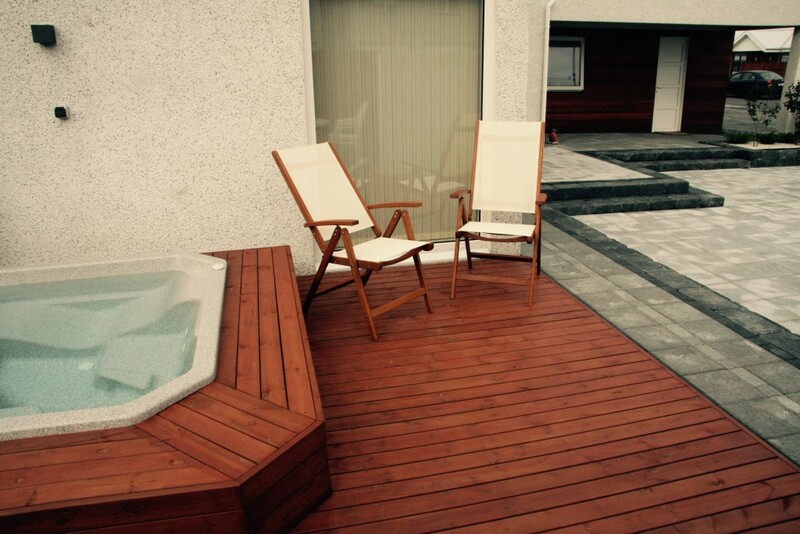 To bring some warmth into the design, timber decking is used around the hot tub and paneling under the covered walkway to the front door. Facing the street in front of the house is a Japanese style area with dark basalt rocks floating like rugged islands in a sea of lightly coloured gravel. Again the concrete paviours are dark and light grey to bring out the straight lines and the squareness.